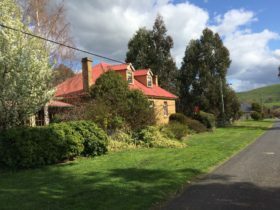 Curringa Farm offers fully self-contained farmstay cottages near Hamilton, a one-hour drive from Hobart in central Tasmania. Curringa Farm is a 300 hectare, ECO-Certified family farming property. These 9 beautiful cottages are tucked away in total seclusion, overlooking picturesque Lake Meadowbank. 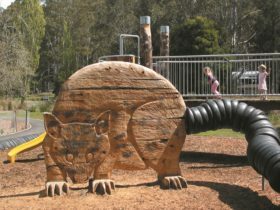 Set in natural bushland they are an ideal place for swimming, boating, trout fishing, or lazing in the sun. All have spa baths, gas barbecues and large decks to take in the views. 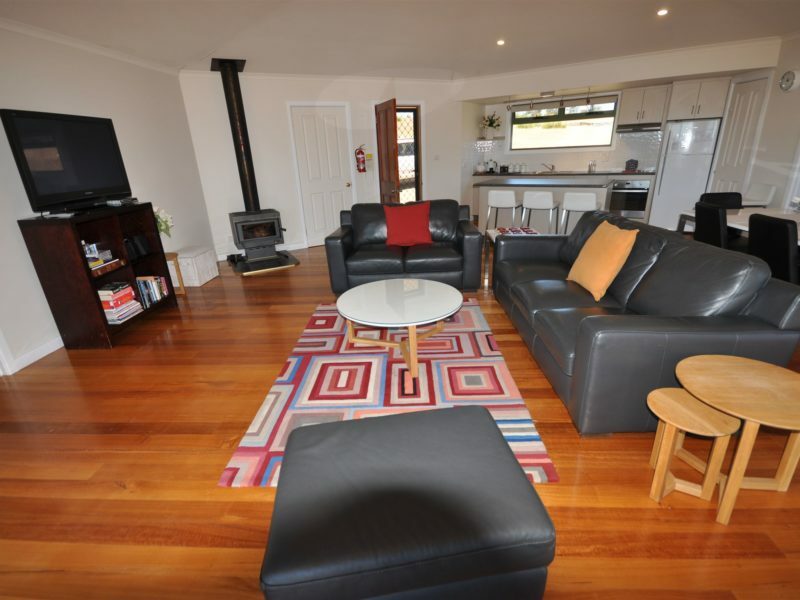 Wedgetail Wings is a two bedroom, two bathroom house with huge living room and complete dishwasher kitchen. Seaglenest is a romantic studio built for two and the original two-bedroom Over the Back sleeps five with cosy wood fire heating. Take our hearty country breakfast provisions before exploring nearby Rivers Run touring route region. Close to Mt Field National Park and Russell Falls. 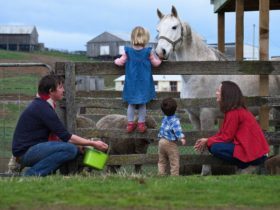 Use Curringa Farm as a base for day trips throughout central and southern Tasmania. An ideal stopover between Strahan and Hobart. 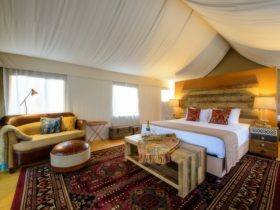 Ecotourism with excellence. A two bedroom, two bathroom deluxe cottage sleeping four guest (One king and two single beds). Complete kitchen with dishwasher, double spa, private deck and gas barbecue. Romantic Studio with double spa, private deck and outdoor barbecue. 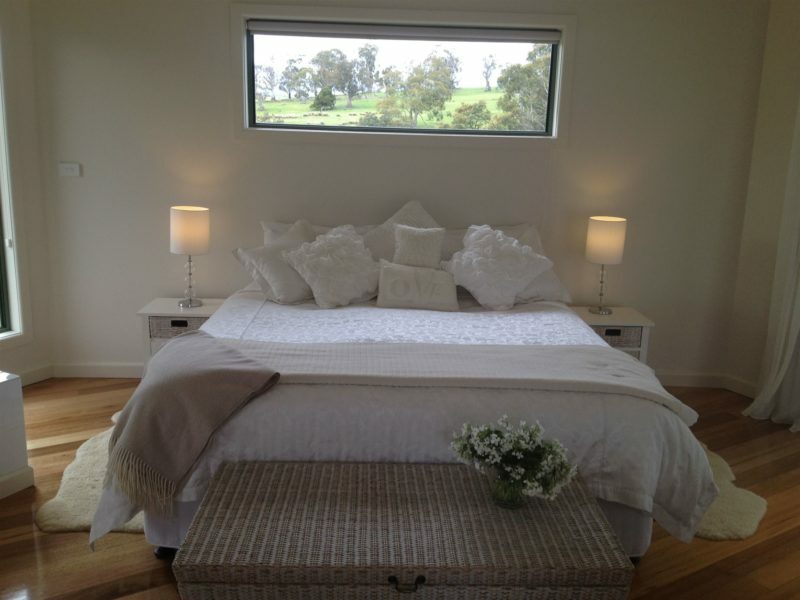 Multiple rooms with beautiful farm vistas. 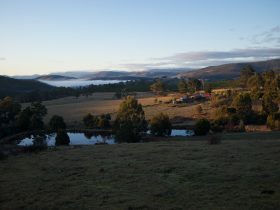 Their farmstay is an excellent opportunity to immerse yourself into their open woodlands and rolling farm hills. 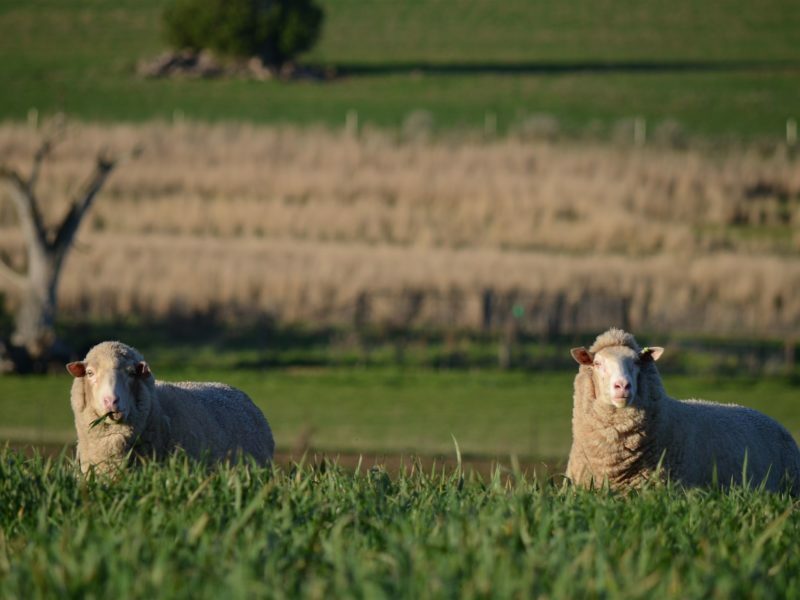 See some of their 3000 sheep meandering past your cottage and join a farm tour to learn about crops and conservation practices. Four beautiful studios with a king bed and choice of spa bath, freestanding bath and Duo Showers. Fully self contained with private decks and gas barbecues. Positioned strategically to maximise views and sense of privacy. Seaglenest is the older of the four with a large spa bath. Blue Wren is certified for easy mobility access.